Obituary for Joseph S. Brocco, Sr. | Seamon-Wilsey Funeral Home, Inc.
GLASCO….Joseph S. “Junie” Brocco, Sr., 87 of Village Drive died Monday, March 18, 2019 at the Kingston City Hospital. Born November 17, 1931 in Glasco he was the son of the late Joseph and Olympia Policastro Brocco. A Veteran of the US Army he served during the Korean War. He was employed for many years at the Candy Apple Dress Factory in Kingston. He was a avid karoke singer and was a parishioner of St. Joseph’s RC Church in Glasco. Survivors include a Brother: Cosmo Brocco of Glasco and a Sister, Antoinette Gallo of Kingston. Several Nieces, Nephews, Grand Nieces and Grand Nephews also survive. 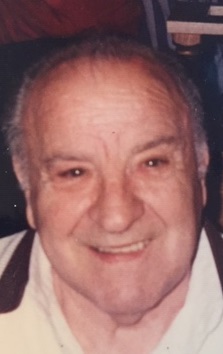 He was predeceased by his siblings: Elsie Ascienzo, Margaret Gordon, Theresa Brocco and Thomas “Whitey” Brocco and a dear friend, Linda Polimine.